Nov. 10, 2008: It started out as a normal day. NASA astronomer and meteor expert Bill Cooke woke up, dressed, and went to his office at the Marshall Space Flight Center. Colleagues greeted him as usual, there was no hum of excitement. And then he checked his email. "That's how I found out—I'd slept through a meteor outburst!" During the dark hours before dawn on Sept. 9, 2008, a surprising flurry of meteors had showered the skies above Huntsville, Alabama. More than two dozen of them were fireballs brighter than Jupiter or Venus; a few even cast shadows. Cooke like everyone else he knew was sound asleep and saw nothing. But Cooke's all-sky Sentinel camera located on the grounds of the Marshall Space Flight Center recorded the whole thing and, when it was done, left him an email summarizing the outburst. "Our Sentinel system consists of a computer-controlled camera, fisheye lens and digital video recorder. It was developed by researchers at the University of Western Ontario for studies of meteors over Canada, and now we've adapted it for our purposes. Every night Sentinel patrols the sky, looking for the unexpected, and it never gets sleepy." In years past, sky watchers had occasionally noticed a small number of dim meteors streaking out of the constellation Perseus around Sept. 9th. The shower, hailing from an unknown comet, was named "the September Perseids" and rarely monitored because it was thought to be a feeble display. "Now we know better," says Cooke. "The Sept. Perseids of 2008 were fantastic." Sometime in the past, the shower's parent comet must have laid down a stream of dusty debris which is now drifting across Earth's orbit. Apparently, the stream contains clumps or filaments of dust that can produce outbursts of meteors when Earth runs into one. "How often this happens is anyone's guess." Answering the question how often? is one of the goals of the Sentinel system. There could be many unknown streams of debris "out there" crossing Earth's orbit, causing outbursts that go unnoticed because, well, even astronomers need their sleep. Using Sentinel, "we can discover new meteoroid streams that could pose a threat to spacecraft and satellites—or just put on a pretty show from time to time." It would have been nice to backtrack the fireballs of Sept. 9th to their parent comet, solving the mystery of their origin, but Sentinel couldn't do that. 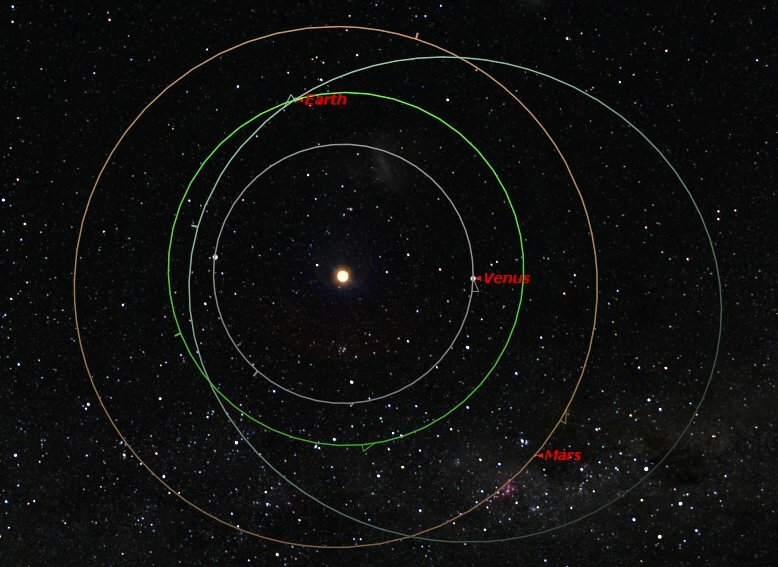 A single camera is not sufficient to measure a meteoroid's 3D trajectory. To remedy the problem, Cooke's team has since set up a second camera 100 miles away in north Georgia at the Walker County Science Center. "With two cameras, we can gather the data we need to calculate orbits," he explains. Cooke is especially interested in centimeter-class meteoroids because he and his colleagues at the NASA Meteoroid Environment Office frequently see them hitting the Moon. Since 2005, they've recorded more than 100 lunar impacts. Unlike Earth, the Moon has no atmosphere to cushion the blow of incoming meteoroids; they simply hit the ground and explode. With NASA planning to send people back to the Moon, the frequency and power of lunar impacts has become a matter of considerable interest. By studying the meteoroids at close range in the skies over Alabama, he hopes to learn more about their properties, especially their speeds, which is an important factor in luminous efficiency--i.e., how much of a meteoroid's kinetic energy is converted to light when it disintegrates upon impact. This will help researchers understand the distant flashes they see on the Moon. 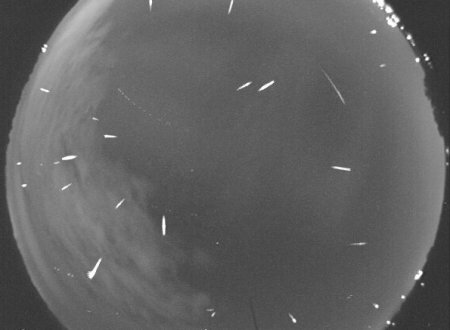 Uncovering new meteor showers on Earth is icing on the cake. "Checking my email," says Cooke, "has never been so much fun."